But the man’s family brought a wrongful death lawsuit with a medical expert who concluded that the cause of death was by severe fright and shock from the collision. Failing to take judicial notice of the “you scare me to death” axiom, the skeptical trial judge ordered a Daubert hearing. He really could have just googled the question and gone to “How Stuff Works“. But everyone loves a Daubert/Reed-Frye hearing. Plaintiff showed up to the hearing armed to the teeth with medical evidence and testimony to support the conclusion that a sudden surge of blood pressure and outpouring of adrenalin and such was the trigger in this case. The trial judge ignored it all and granted summary judgment. The Court of Appeals found that plaintiff’s medical evidence has scientific validity and that a reasonable jury could find that the truck crash was a substantial contributing cause to the man’s death. 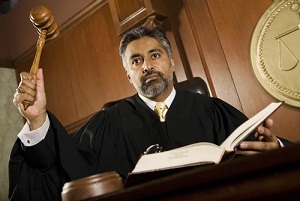 The court found that the trial judge ignored the plaintiff’s evidence. Without directly saying so, the court seems to say that not only could a reasonable fact finder conclude the man was scared to death, but that it is also the most logical conclusion. Dr. Spitz grounded this conclusion on the principles and methods customarily used in forensic pathology, including review of the medical and police records and consideration of the testimony of witnesses. In other words, Dr. Spitz premised his conclusion solely on the objective record facts, accepting all of them as relevant and accurate. We do not find this method wanting, particularly in light of Dr. Al-Saraf’s [the doctor above who found that it was basically a heart attack because the man was old] acknowledgment that Dr. Spitz’s causation theory could explain Kassem’s death. Nor do we discern any evidence that Dr. Spitz unreliably applied forensic methods to the facts of the case. The medical literature Dr. Spitz supplied to the court demonstrates that consistent with common wisdom, acute emotional stress can cause sudden cardiac death. Defendants produced no literature to the contrary. Thus, no evidence contradicted that Dr. Spitz’s opinion derived from a methodology customarily used by forensic pathologists, who regularly opine regarding cause of death, and that Dr. Spitz reasonably applied the methodology to the facts at hand. The appellate court was blunt in calling out the trial judge, saying that he was basically acting like the trier of fact instead of determining what a reasonable jury could find. John Roberts famously said that a judge just calls the balls and strikes. But the bromide of judges just objectively resolving questions of fact is a largely a fairy tale. That is just an impossible task for even the best of judges. It is hard for judges to remain above the fray and merely provide an independent and impartial assessment of the law to be applied. Judges are human, they have this power, and most want to use it to push the ball towards the outcome they want. This is not a good thing. But it is what it is and it is tolerable within certain limits. But some judges, and I’m not saying this one because we don’t have enough information, can’t stand the idea that the jury has the real power and they feel compelled in interject themselves into the case to push the trial towards a desired outcome. While it could be my paranoia, I feel like these powers are rarely used to advocate for plaintiffs.